Jonisha, with her son, Leelan, and her daughter, Nalah. Jonisha Holman: An Adult Learner With a Mission and Smile! Jonisha received an Adult Learner Scholarship in May 2018. All smiles – as she and her children realize that receiving the scholarship was a life-changer! 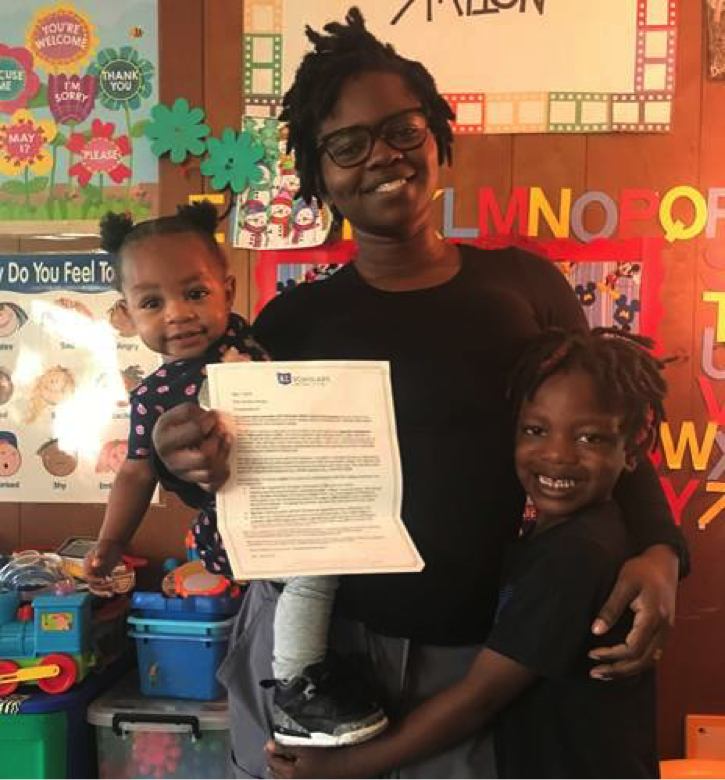 Jonisha, with her son, Leelan, and her daughter, Nalah, show their pride and enthusiasm at mom receiving a scholarship from KC Scholars. Jonisha is a high school graduate of Lincoln College Prep in the Kansas City Missouri School District; is a resident of Jackson County, MO; and works at the Kansas Institute of Medicine. She had previously attended three different campuses but had to stop out due to family and financial reasons.